NEW LOWER PRICING - Email us NOW for YOUR price on the Athena H2! 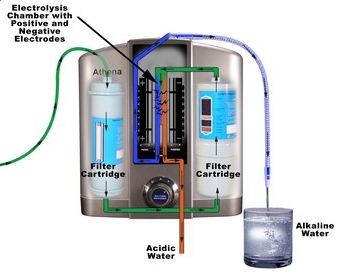 The NEW Jupiter/AlkaViva Athena H2 water ionizer NOW has 7 "Smart Design" solid ionizer plates and makes even MORE hydrogen for you! With its unique dual filtration it also now comes with a lifetime warranty! 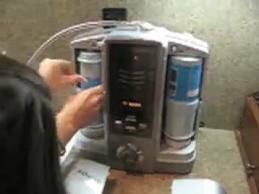 AND, another reason to love the NEW AthenaH2, we have CLEANING filters available for your annual deep cleaning! No garden pump, vinegar or citric acid needed! Simply pop in the cleaning filter and restore your AthenaH2 to like-new condition! WOW - isn't this nice! THE ATHENA H2 IS NOW A 7-plate ionizer with DUAL filtration! It takes out most of the junk in your water - even about 1/2 of the fluoride! 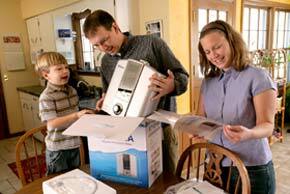 It should give a family of four 15-20 years, and has a NEW lifetime warranty! The automatic flow control is convenient, rather than having to adjust the faucet flow to 2 liters/minute. Two thumbs up for the NEW AthenaH2, with more hydrogen, MORE ORP (negative charge) per pH level than other brands! MY FAVORITE IONIZER ON THE MARKET! The one I have in my home!